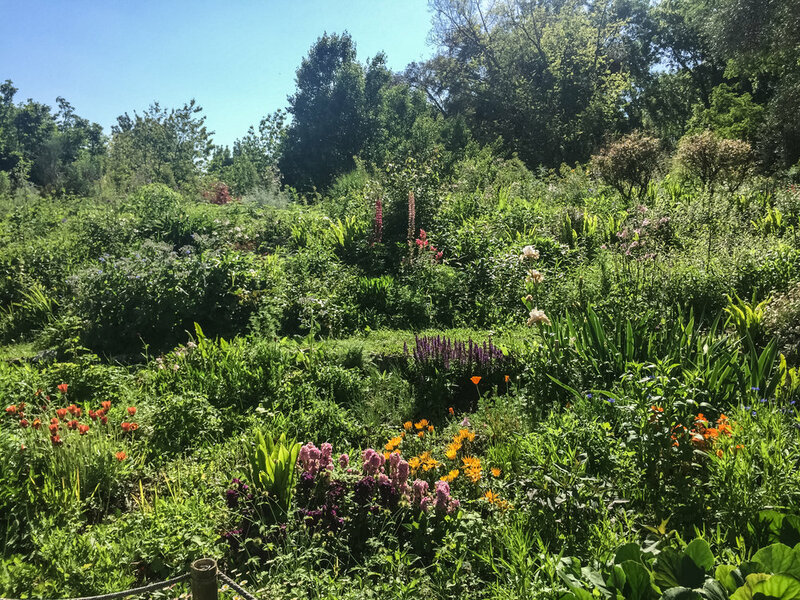 Spring saw The Garden Historians first foreign adventure. 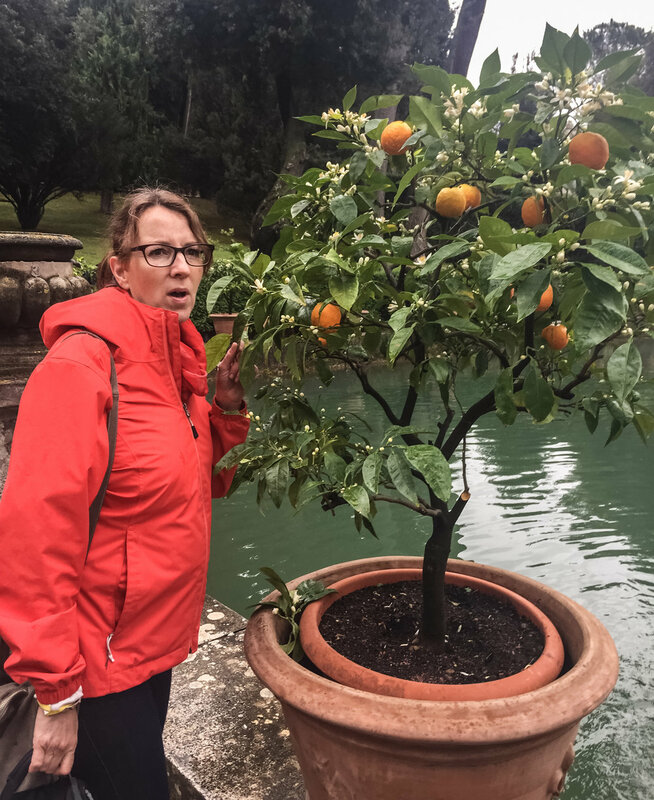 The much anticipated trip to explore the historic gardens of Frascati. 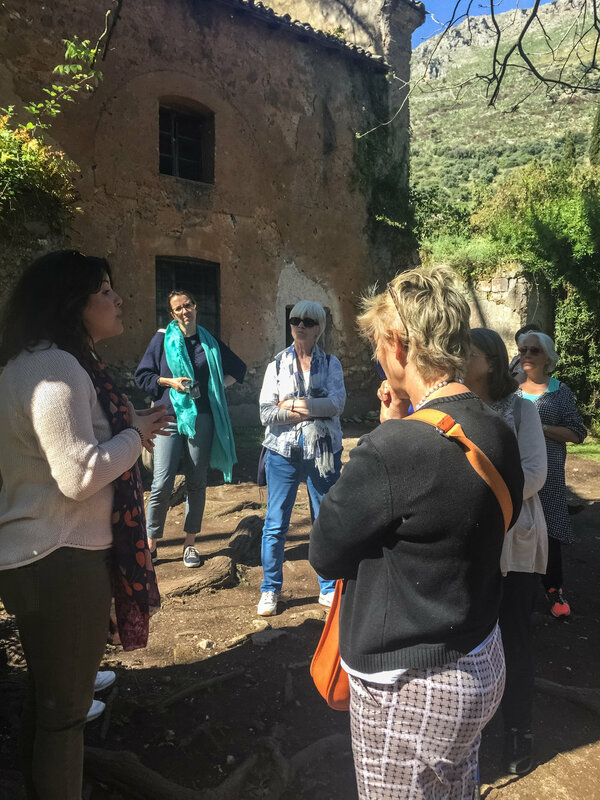 Deborah conducted tours from their base in Frascati, concentrating on the rich historical gardens south of Rome. 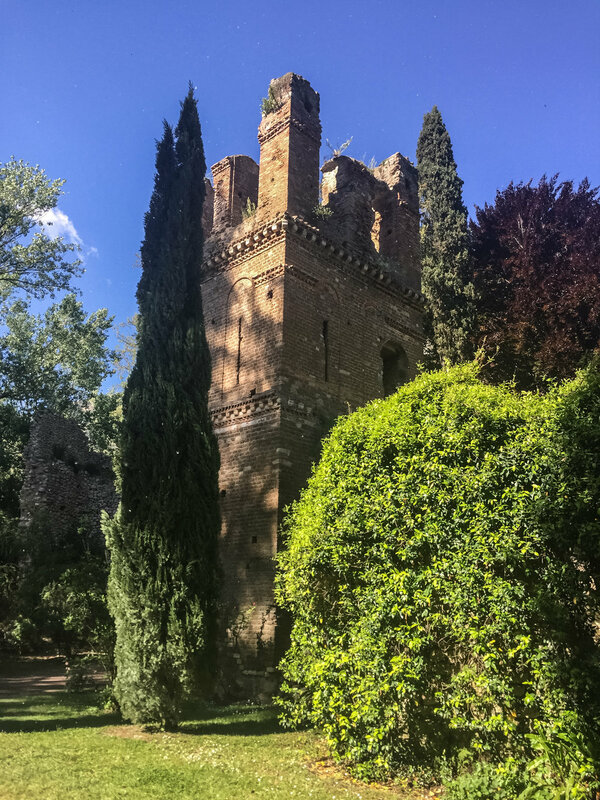 The four day trip began with a walking tour of the Villa Aldobrandini, one of the most spectacular Baroque palaces in the region, which some lucky students had for a view from their hotel windows. 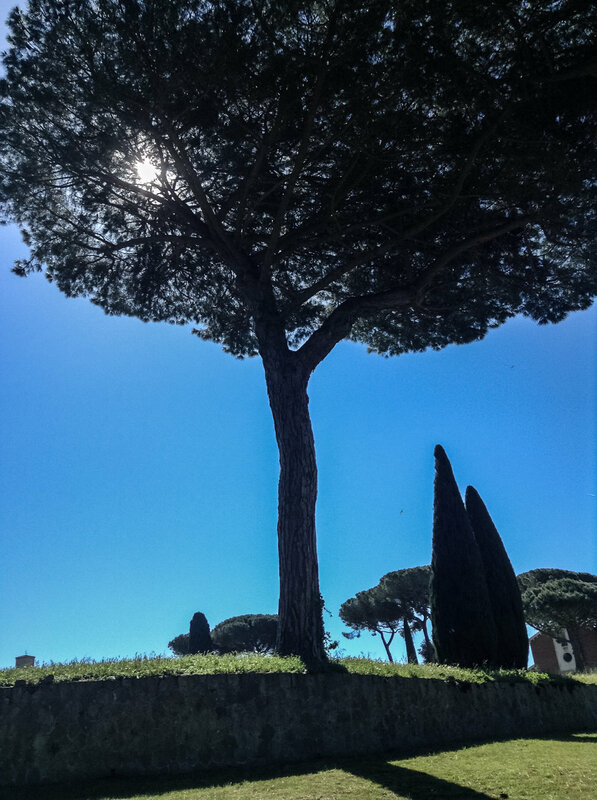 The hills of Frascati, just a few miles outside Rome, have for centuries been the place of relaxation for Popes and princes. 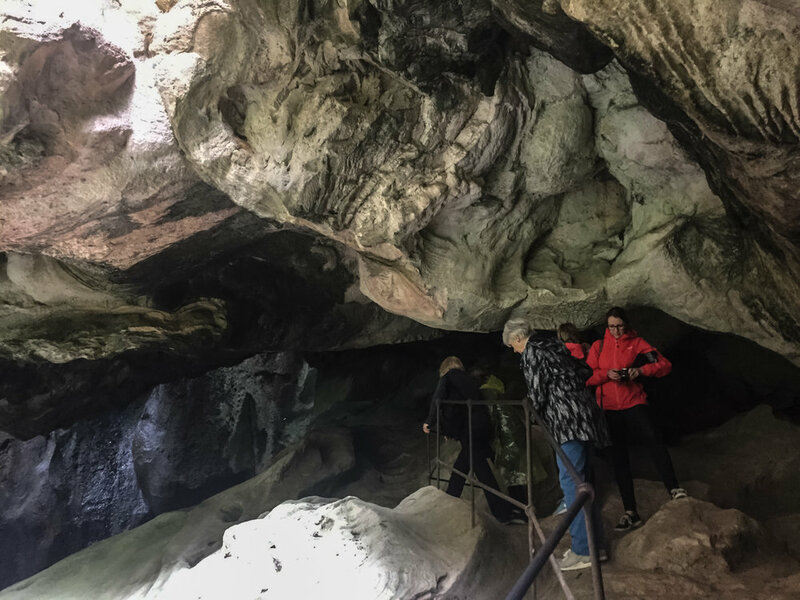 A group of twenty of us set off to discover them. Our hotel, formerly a family villa, just across the road from the ruins of Villa Torlonia, was called Hotel Flora (of course!). Villa Aldobrandini dominates Frascati, a huge palazzo with views across to Rome. Hidden behind it, almost forgotten, is the Water Theatre by Carlo Maderno . It curves behind the villa, within the central niche, Atlas holds the world on his shoulders, whilst to his left lounges Polyphemus. 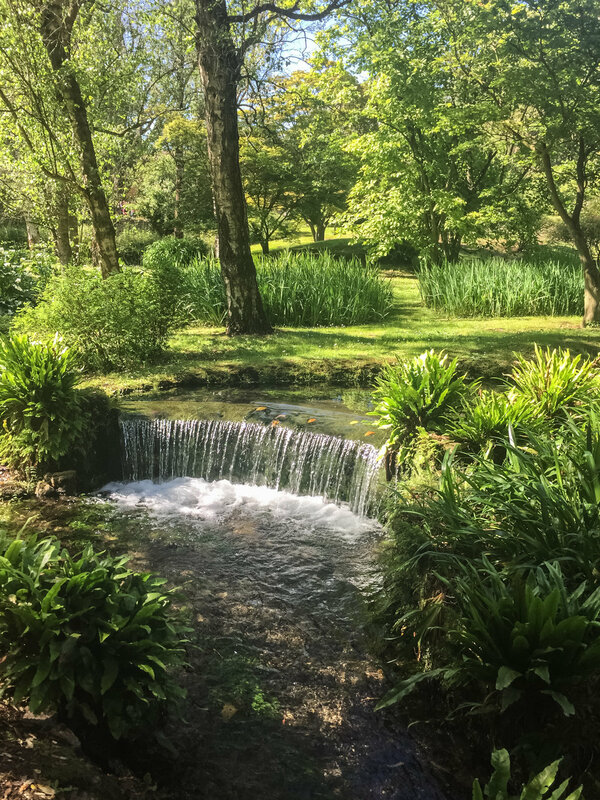 The gardens must have seemed magical with rainbows in the fountains, thunder and hail conjured up by the complex hydraulics. 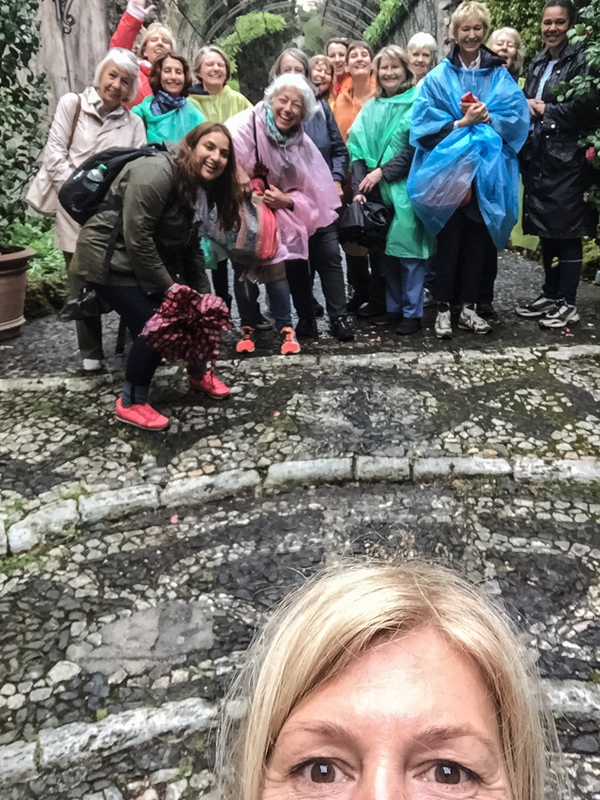 Our visit ended in a shower of rain, not made by hudraulics unfortunately! A stroll around Frascati, then to supper in Grottaferrata in a magical little candle lit place. Next morning we were off to the Villa d’Este with its Fountain of the Organ, which every two hours plays music. Every corner has a secret, a special delight, fountains, grottoes and water balustrades. 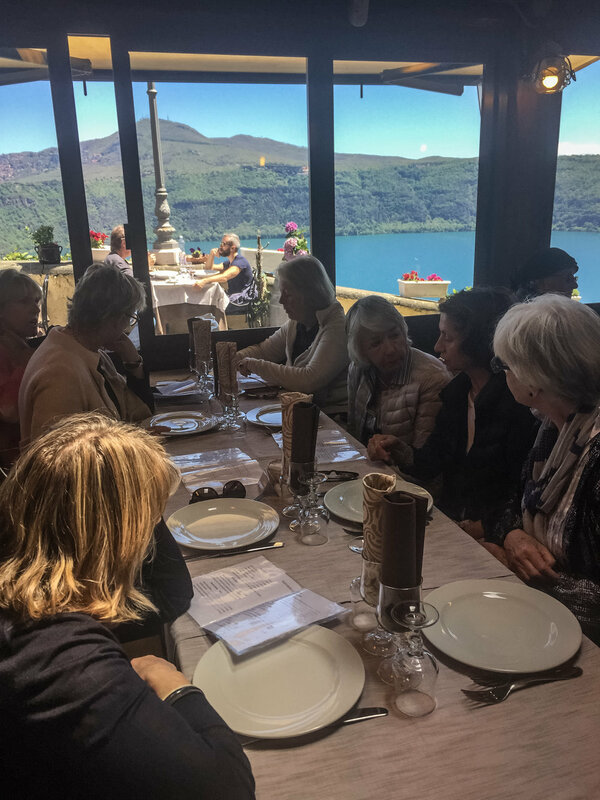 Lunch in the Sibilla Restaurant, which overlooks the temples of Vesta and Sybil, right next door to Villa Gregoriana, our next garden. 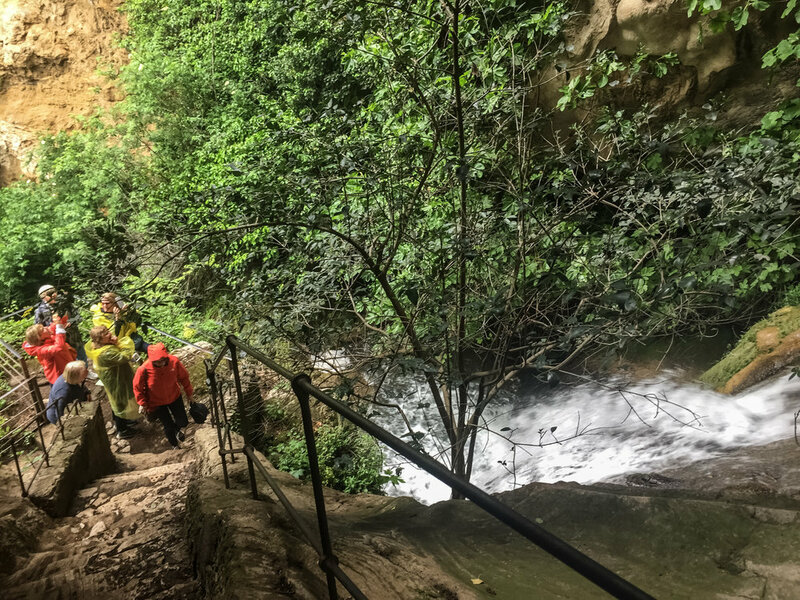 It is a ravine garden with grottoes, tunnels, cascades and deep aqua coloured pools. It’s a landscape that makes you work hard, up and down the rocky paths, but wow is it worth it. We haven’t mentioned yet that an important part of visiting Italian gardens is that it requires the visiting Italian restaurants. 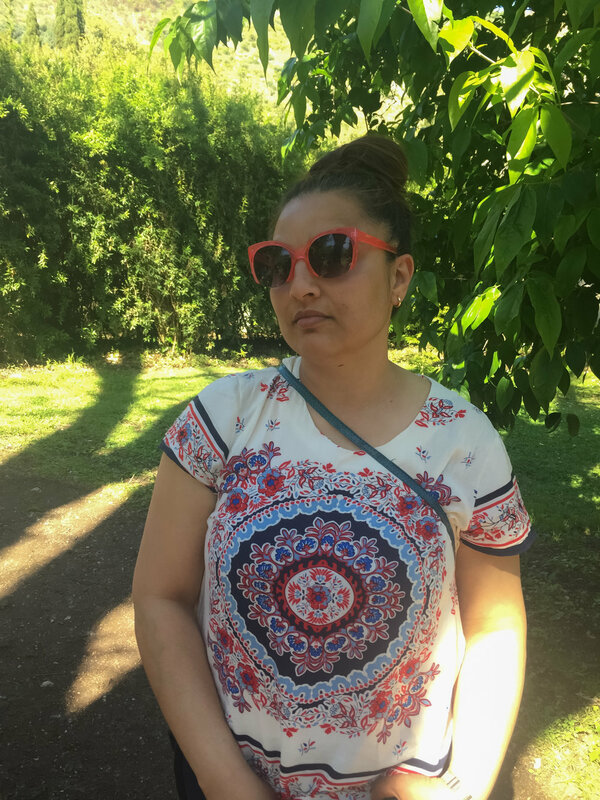 Every restaurant we went to had been carefully vetted by Jennifer, a lover of fine food and beautiful places. 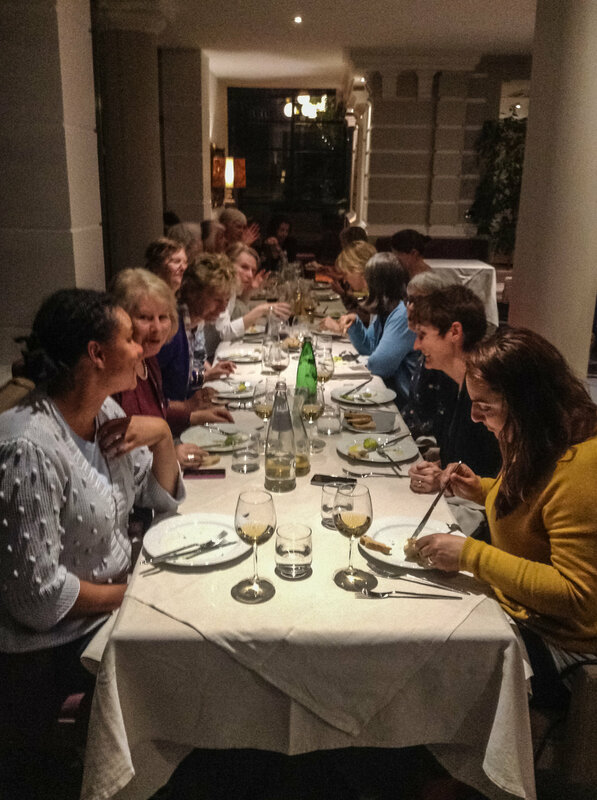 We had stuffed courgette flowers and ate some of the finest gelato. We may have had a glass or two of local Frascati wine (which tastes nothing like Frascati wine in the supermarket here). The Hotel Flora even had local wine from it's chef's brother's vineyard. We ended Friday by visiting a private villa and its owner, Princess Elisabetta. 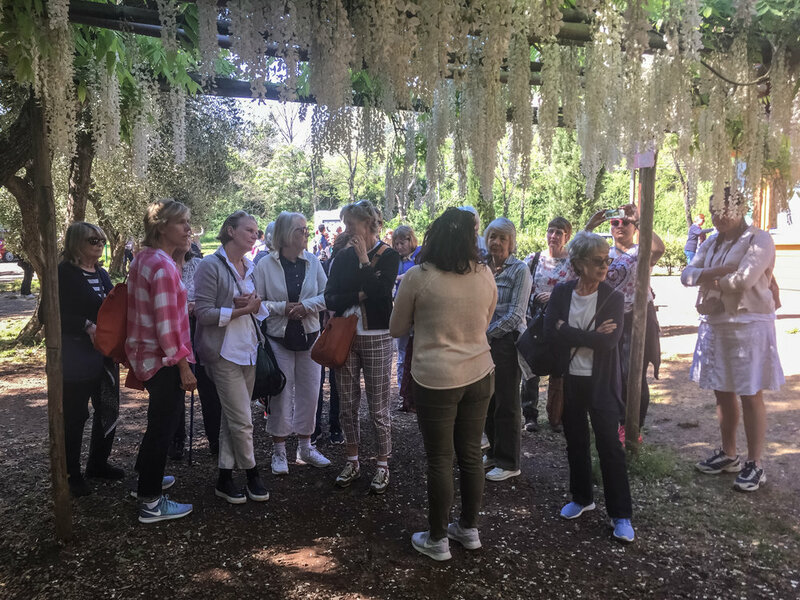 She showed us her garden from the loggia and gave us a tour of the wonderful restoration work she had carried out on the interior of the villa. She served us Aldobrandini wine and peanuts. We finished Friday with a five course menu of local delicacies at our hotel. 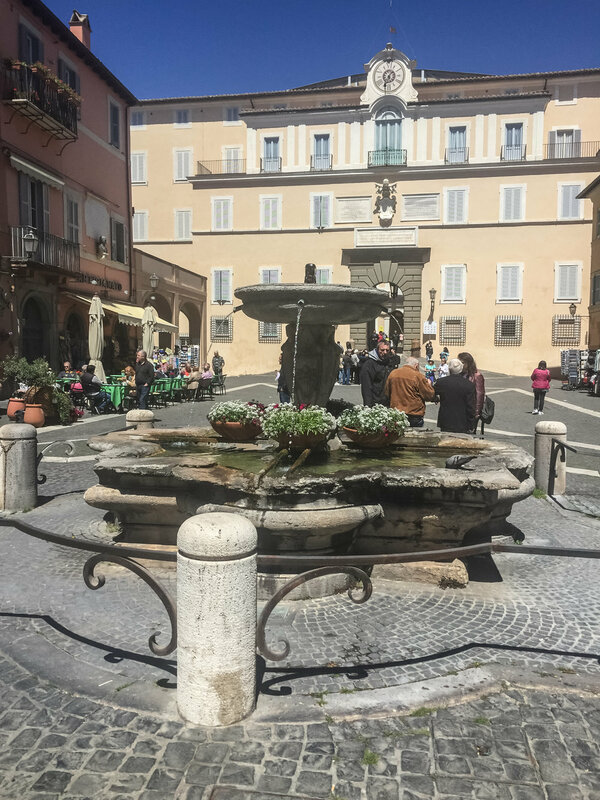 Saturday – into our coach and off to Castel Gandolfo and the Barberini Gardens. 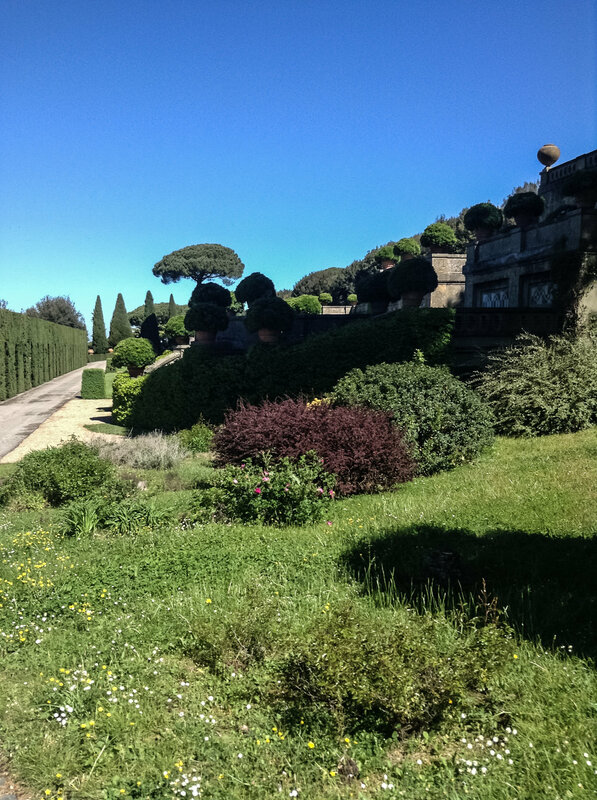 We had a special little train to tour the recently opened gardens of the Pontifical Villa, which have been private for four hundred years. 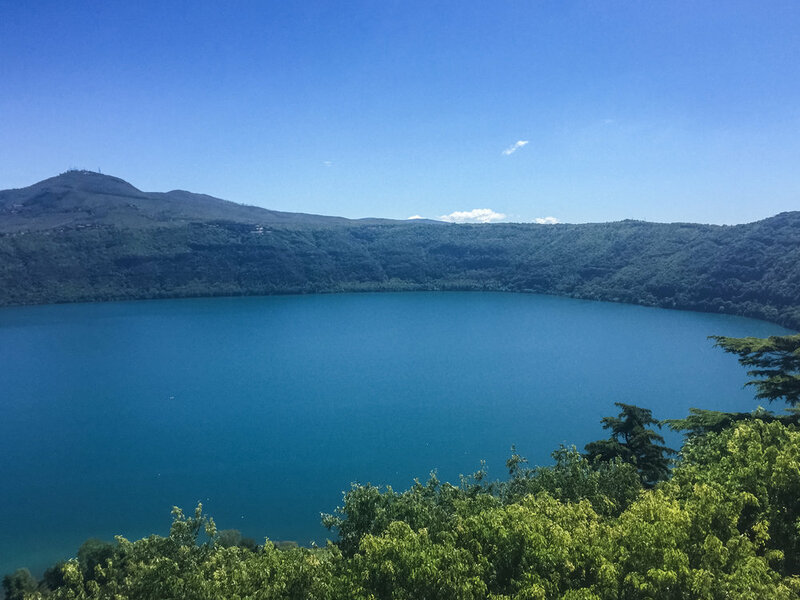 The deep blue lake of Castel Gandolfo was the perfect setting for lunch and a wander around the shore. Off again in our coach. 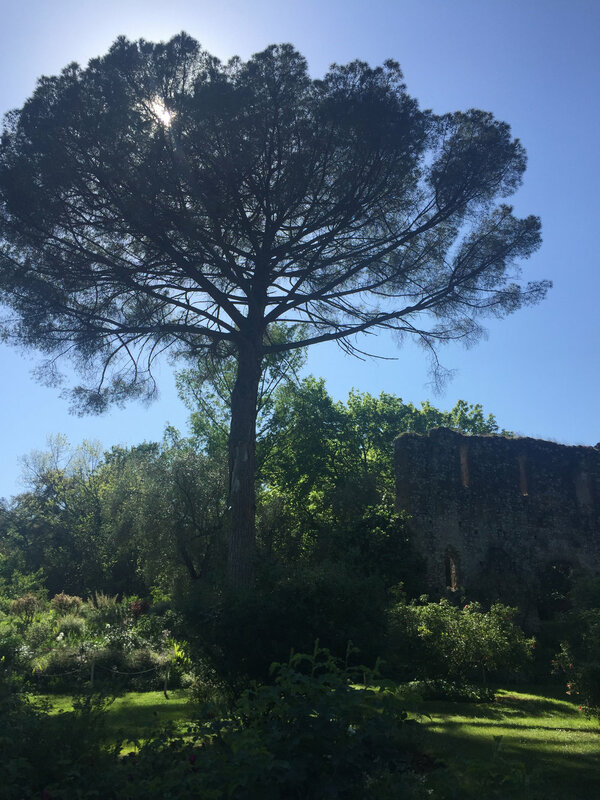 To Ninfa, often called the most romantic garden in Italy, the sun shone and the air was full of fairies, dust of the poplar trees flying in the sunshine. The wisteria and roses were in full bloom and all of us were enchanted. Italian strawberries in the carpark before a trip back to Hotel Flora. 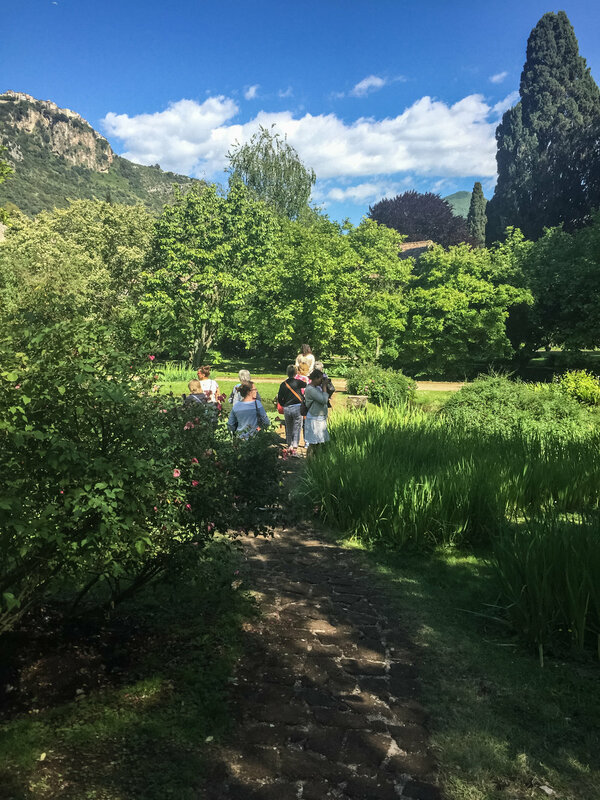 Sunday saw us walking up the hill past Aldobrandini to Villa Falconieri, where we were greeted by the wonderful students and staff (who converse with each other in Ancient Greek and Latin). They gave us incredibly detailed and informative talks on their trees, followed by a walking tour of the site. They have started the renovations on their garden and deserve praise and help in their work. 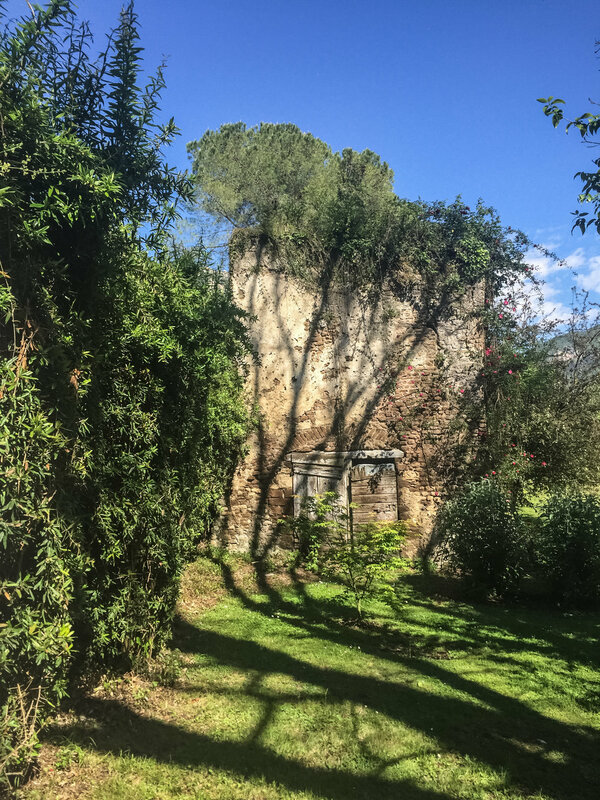 The villa itself is decorated with fabulous frescoes and has a view down the length of the villa, that culminates through a doorway on St Peter’s in Rome. 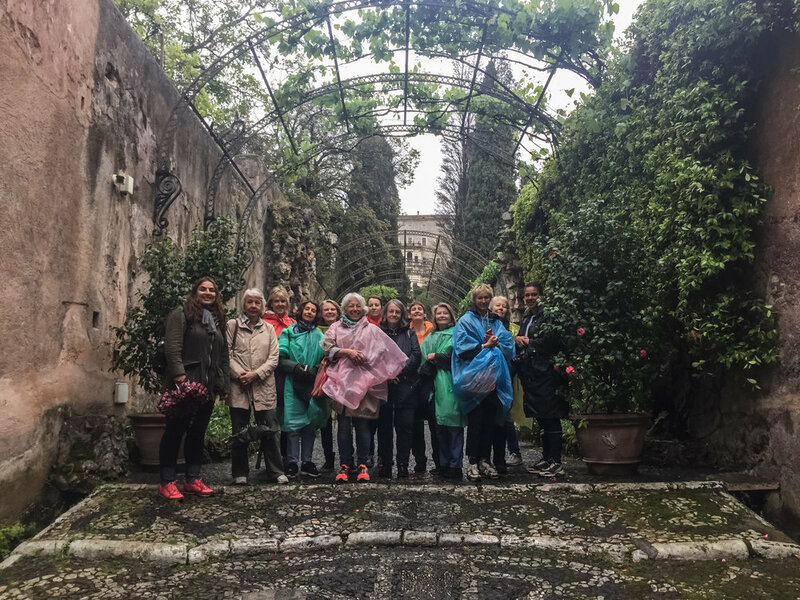 Some of us wandered into Frascati for the last few hours, whilst others took fresh Italian cakes to Villa Torlonia for a picnic.